S - 207 Box chain chainmaille in red! 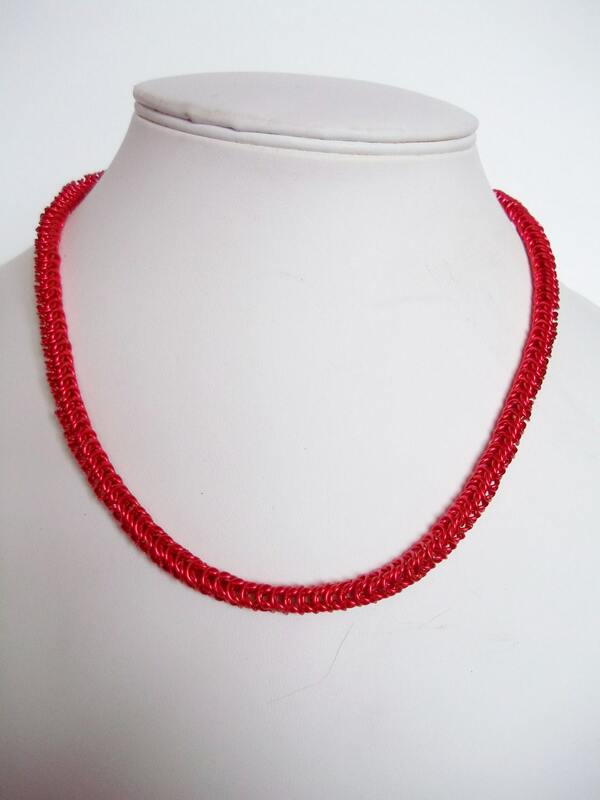 Striking, red, box weave necklace. Chainmaille design. 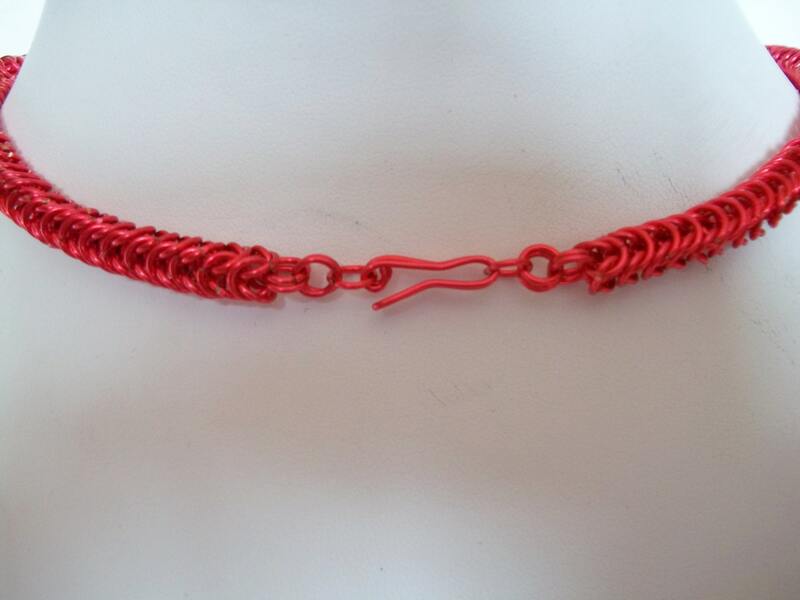 Completely handcrafted with e-coated, red colour coated copper wire.approx. length is 18 1/2 inches ( 47 cm ).